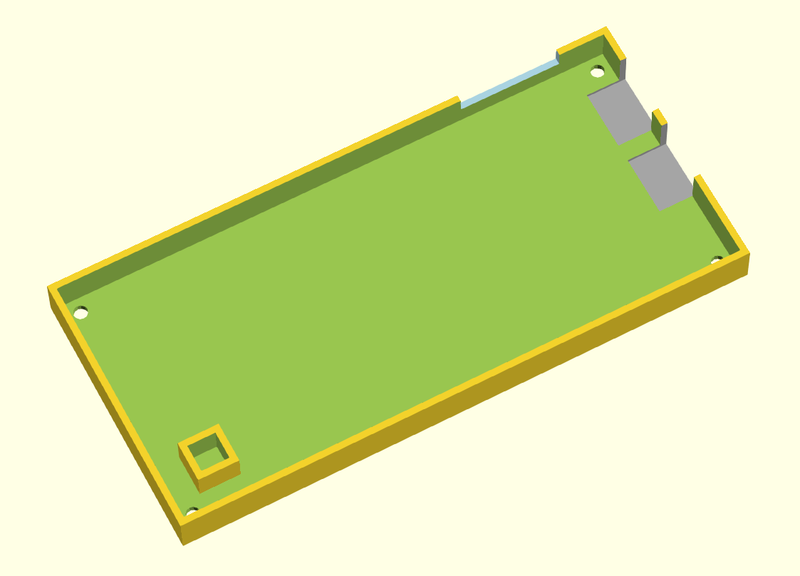 Regular readers will be aware I am a big fan of using scripted CAD, specifically OpenSCAD, as a design tool. I have gone into my reasoning before, which I won't repeat now. 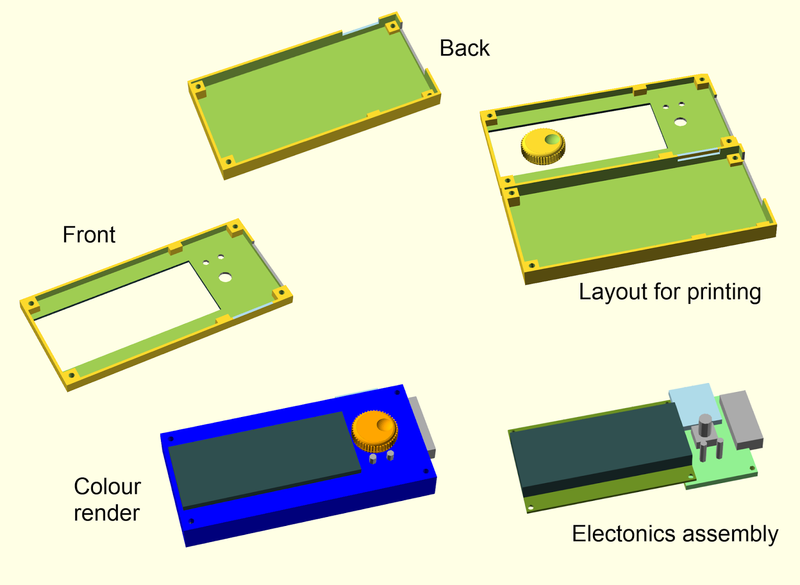 This is a further worked example showing the steps I took to design a case for a basic LCD+Click encoder controller for a 3d printer. This posts will try not to repeat too much ground covered in my previous OpenSCAD "How To": the OpenSCAD manual will help following along. 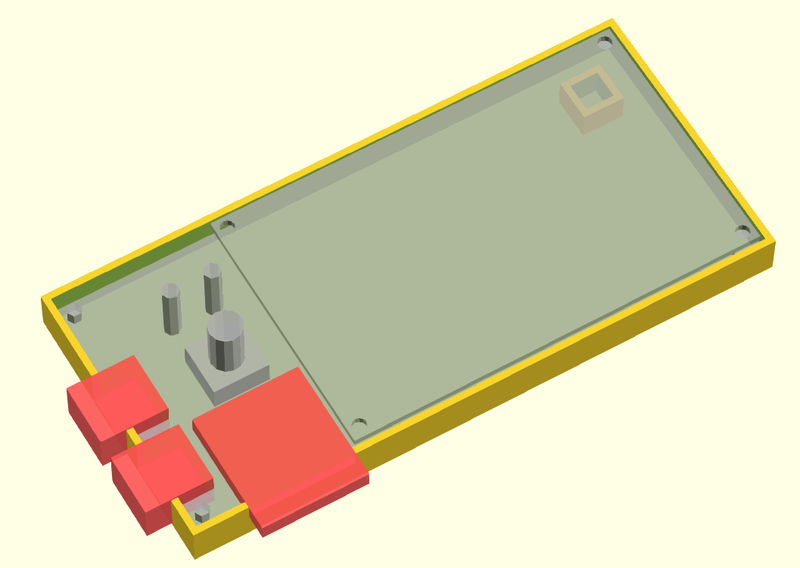 As always this is Open Source Hardware so the OpenSCAD source and supporting control knob file is shared on GitHub. 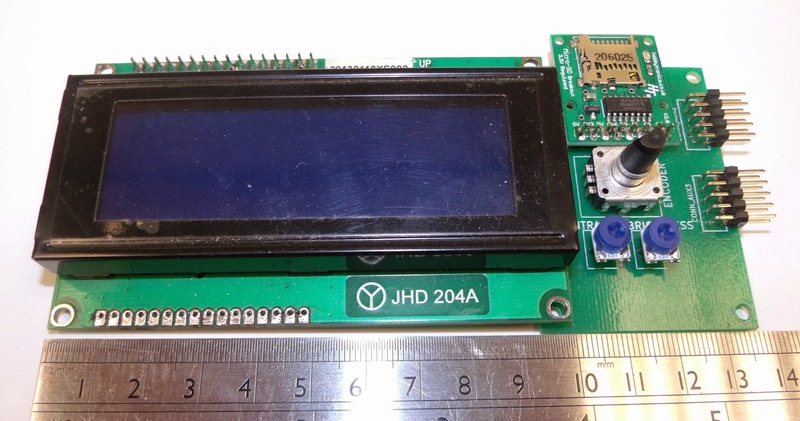 The PanelOne is a simple back board for a 20x4 character LCD with a encoder, a SD card board and brightness and contrast pots. I will go into the rationale and design of it in another post. 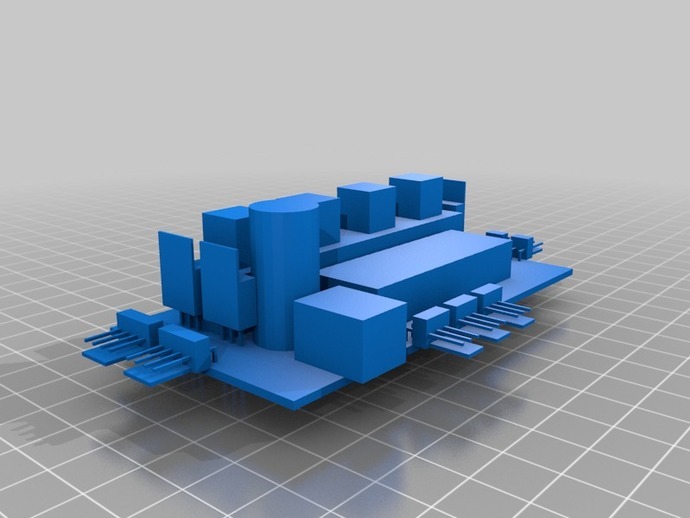 The aim for the case is to be quick and easy to print and use the the minimum of additional screws and other fixings. This allows for the effect of the assembly processes to be taken into account easily. In this case I am going to keep it simple. It is a good idea to split down the design into logical blocks - these can be reused. 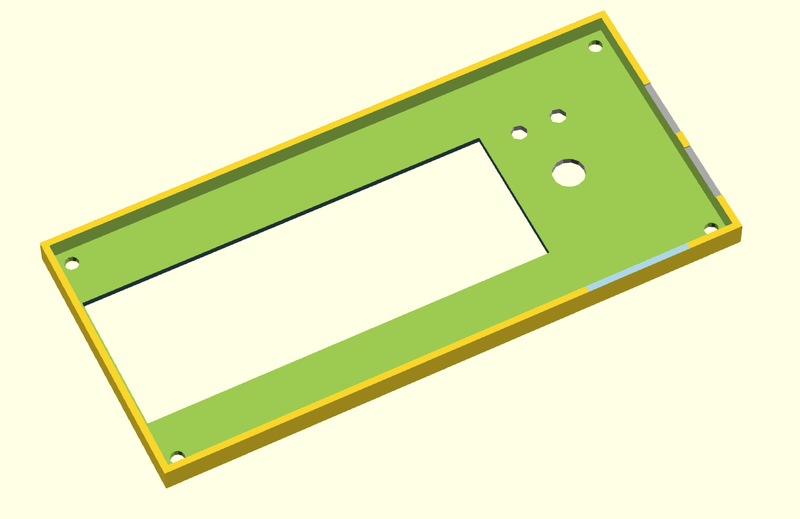 The LCD module is re-used from the Panelolu2 case design for example. 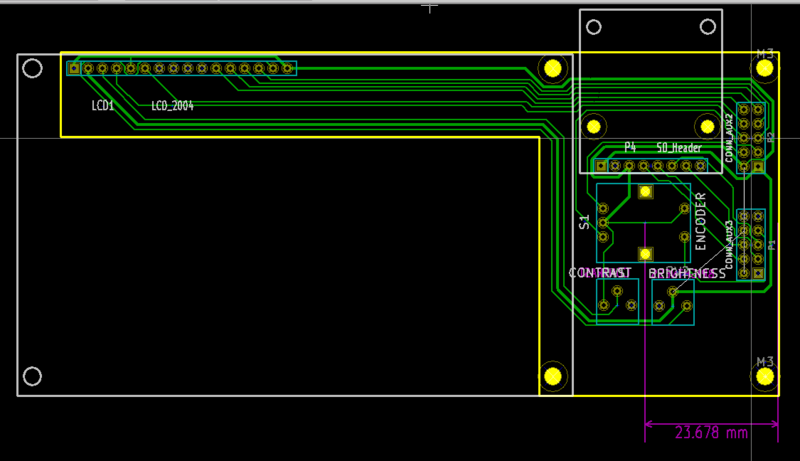 The case will be a simple design with back and front halves, along with a knob for the click encoder. It will be held together with M3 screws. A mounting method will be discussed in a later post. 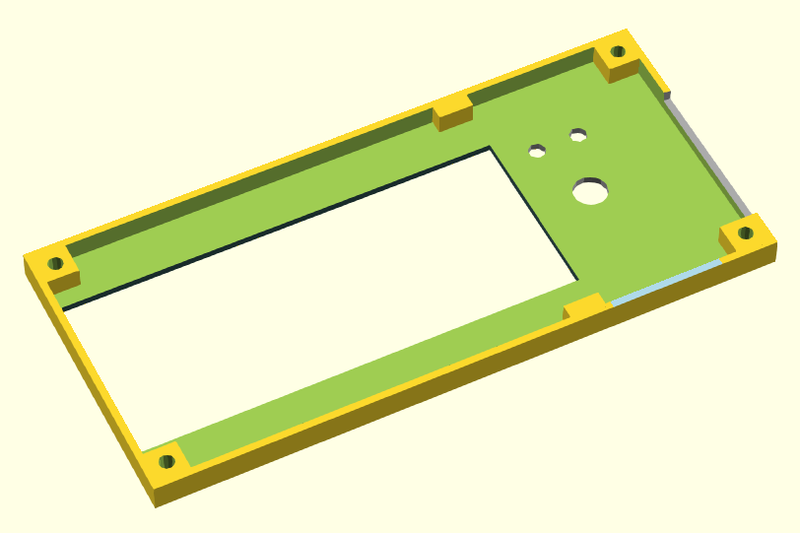 The back and front halves are very simple to code, since the hard work has already been done in defining the electronics which is used to "cut" the holes required in the case. The difference() function used in the code above subtracts a cube that is "shell_width" - "clearance" from the overall front or back shell. 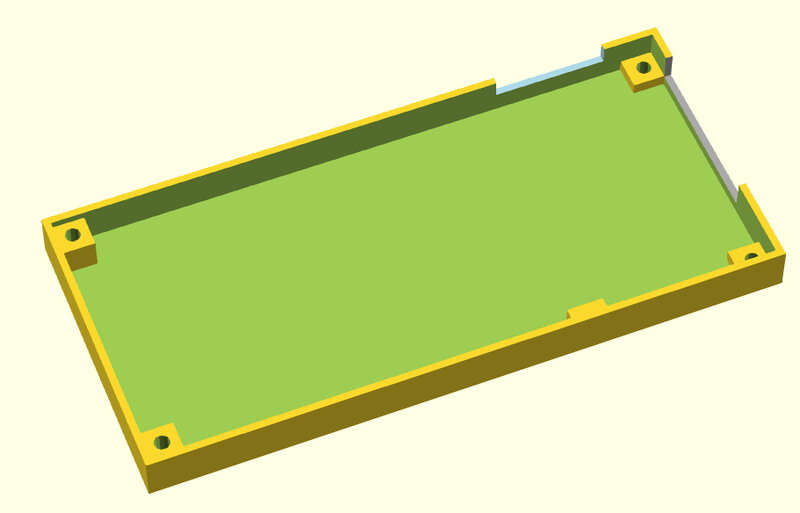 It then subtracts the LCD_assembly and the case holes. The following two pictures (with elements made transparent/hidden) helps to illustrate the process. The holes for the IDC plugs for the cables need to be wider and higher up in the case, easiest to replace with a single cutout. To hold the board more rigidly some supports are required - the corners are the easiest place for these. 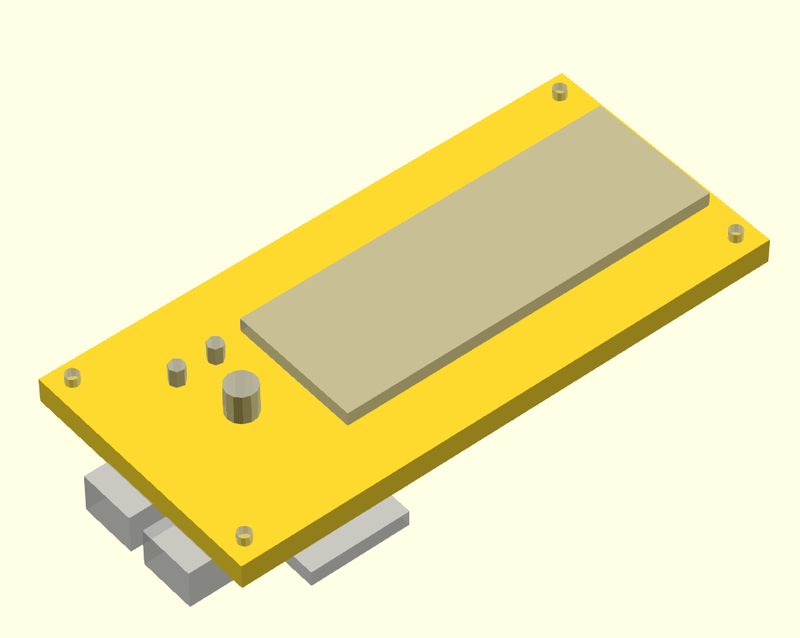 This then determines what is rendered using a list of if statements used because, annoyingly, OpenSCAD does not appear to support a "switch" statement. That's all for now - I hope to get a blog post out about the PanelOne itself soon. Excellent guide. It was really helpful for one of my projects. Nice to see a guide for something practical. 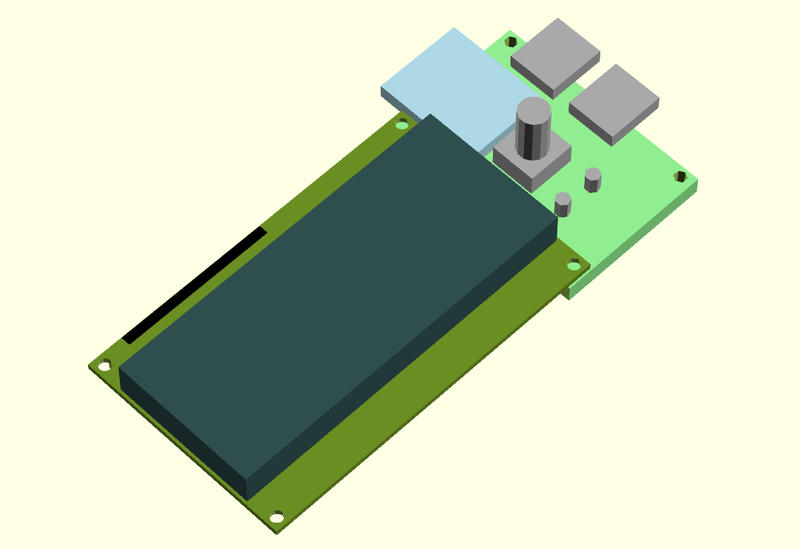 I too am making an enclosure and didn't think to model the electronics. I see there is some benefit to it now... anything which reduces the number of round trips to the 3D printing shop is good! 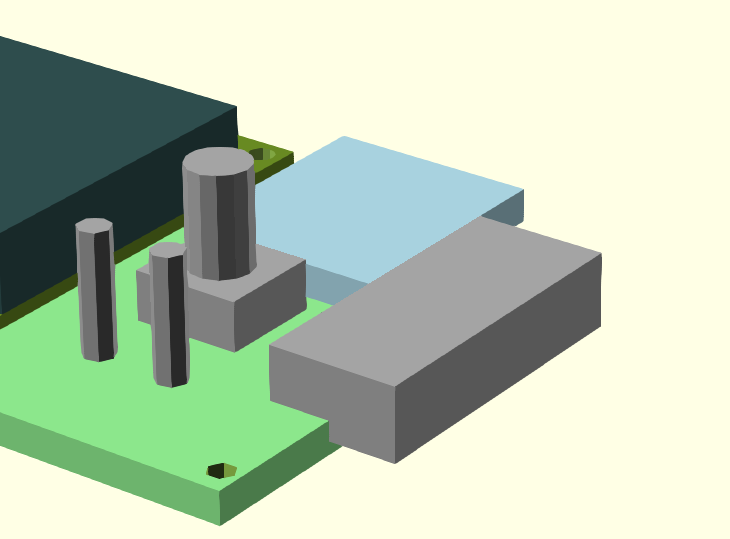 I realize this is older at this point... your example is excellent and I was able to use it to model a case for a completely different board. However - the case_screw_holes() module is never presented. Any chance you could update to include that? I found that not long after I posted. Thanks for the quick followup and again for the tutorial, I learned a lot about OpenSCAD.